Bankrate has over four decades of experience in financial publishing. Bankrate was born in 1976 as "Bank Rate Monitor," a print publisher for the banking industry. The "Bank Rate Monitor" newsletter that was originally distributed contained much of the same rate research and information the Company is known for and respected for today. 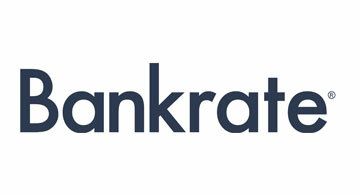 In 1996, Bankrate expanded its offerings and made its online debut as Bankrate.com. Since then, we have increased our site traffic to over 15 million monthly unique visitors, expanded our distribution outlets and added new content channels, and we continually strive to provide consumers with the expert advice and tools needed to succeed throughout life's financial journey. Today, Bankrate.com a leading aggregator of financial rate information, offers an unparalleled depth and breadth of rate data and financial content. Bankrate continually surveys approximately 4,800 financial institutions in all 50 states in order to provide clear, objective, and unbiased rates to consumers. The Company provides free rate information to consumers on more than 300 financial products, including mortgages, credit cards, new and used automobile loans, money market accounts, certificates of deposit, checking and ATM fees, home equity loans and online banking fees. In addition to rate data, Bankrate publishes original and objective personal finance content to help consumers make better informed financial decisions. Our staff of award-winning reporters and editors provides expert advice on just about every major financial decision facing our readers: from purchasing their first home, to selecting a new car, to saving for retirement.